The country’s leading digital lifestyle brand, Tigo has been nominated for 8 categories in the 6th Ghana Information Technology and Telecom Awards scheduled to be held on Saturday 21st May, 2016. 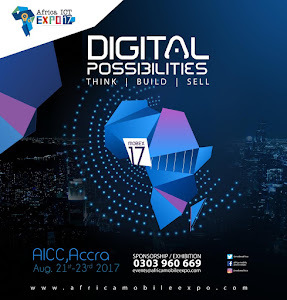 The nominated categories are ‘Best Customer Service Company of the Year’, ‘Mobile Money Service of the Year’, ‘Telecom Business of the Year’, ‘CSR Company of the Year’, ‘Telecom Brand of the Year’, ‘Mobile Operator of the Year’, ‘Marketing Campaign of the Year’, Innovative Product of the Year. 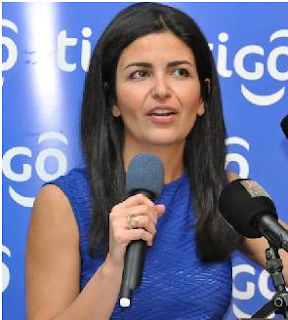 On the customer service front, Tigo set up a 120 seater Digital Support Centre to process customer requests and enquiries across multiple online and social media platforms including the Tigo Self Care app, making it the most advanced omni-channel contact facility in Ghana. It also opened eight new customer service outlets, each equipped with a specialist Tech Force to support customers on living a digital lifestyle and offering smartphone tips. Since being launched in 2011, Tigo Cash has grown tremendously, catering to millions of Ghanaians and has been ranked as the most preferred mobile money wallet in the country. Today, Tigo Cash not only provides customers with the opportunity to use their mobile phones to send and receive money, but enables purchase of airtime, salary payment facilitation for SMEs, traders and farmers, and for payment of numerous services like DSTV bills and online stores. Over the past year, their flagship Corporate Social Responsibility project, Shelter 4 Education, was a massive boost to education in deprived communities. The initiative which was also documented into mini television series saw the construction of schools and provision of school supplies. The impact on both children, teachers and the communities have been enormous, drawing support from government stakeholders, opinion leaders, and other corporate organisations. It also launched the Ghana’s first Digital Mobile Library, which gives children in rural areas access to electronic books, digital devices and ICT training through all in a retrofitted van. To date, the ‘E-library on Wheels’ has been operating in over 100 communities across the country. In 2015, the company’s marketing campaign’s ‘Drop that Yam’ and ‘Yensor Nkoaa’ took the country by storm as the promo names and key punch lines in the television adverts quickly became a household trend in Ghana. ‘Drop that Yam’ highlighted the numerous benefits of smartphones whilst ‘Yensor Nkoaa’ rewarded loyal customers with 90 power generators, and other energy related prizes at the peak of Ghana’s energy crises. As part of efforts to improve on network quality and resilience, several investments were also made to build on their network infrastructure and architecture.